April 15 marks the 107th anniversary of one of the worst maritime disasters in history: the sinking off the coast of Canada of the RMS Titanic, which at the time, was the largest and most luxurious passenger ship in the world. On the night of April 14-15, 1912, 1517 of the 2229 passengers onboard, who had left Southampton England on April 10 heading for New York City, perished in the disaster, which was immortalized in a 1997 film and many other cinematic depictions. The wreckage from Titanic, which was operated by a company called White Star Line, included coins and paper currency such as silver certificate notes, U.S. gold half eagles, and silver and copper coins from the U.S., France and Great Britain. Many collectors have long been fascinated by coins that were found deep under the sea that were once part of the cargo of ships carrying treasure that sank. Over the course of American history, tens of thousands of such ships have perished on inland and coastal waters with valuable coins onboard. Collectors find these coins especially appealing, because they come with a story about the history behind them and how they ended up where they were found, sometimes hundreds of years after the ship sank. This type of coin is also appreciated because it is rare. Out of thousands of ships that have sunk with treasure, very few of them are ever discovered. They are also historic artifacts that tell us important facts about different periods of our history. 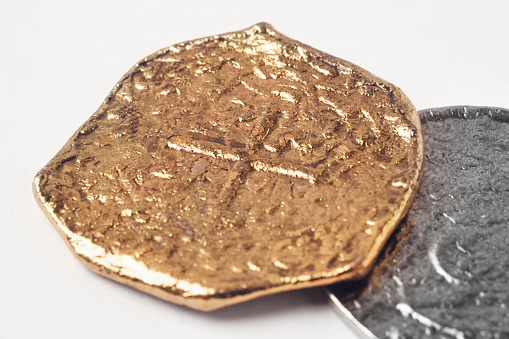 collectors prize them because many such coins are sometimes found still in high grades, especially gold coins that typically do not corrode from exposure to saltwater. Silver coins generally do become damaged and corroded from that exposure, but sometimes if they were stored in safes, they can still be found in high grades, while most recovered silver coins require specialized conservation methods. Many of the most famous treasure ships that sank and whose coins were later discovered, often in amazingly pristine condition, date to the period of the American Civil War. 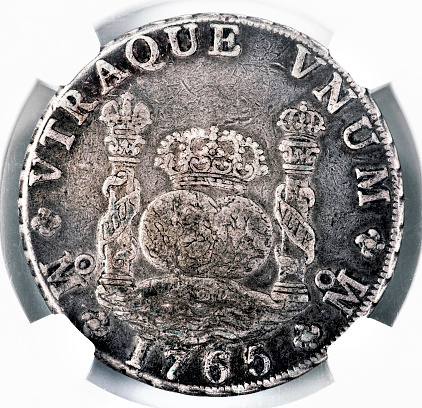 Just as that period of our history continues to be the subject of great historical interest, so do the coins of that period. During the war, there was rampant inflation as a result of frequent printing of paper currency to finance the war efforts of both the North and South. This situation led to extensive hoarding of silver and gold coins that were a hedge against the declining purchasing power of paper currency. That hoarding led to investors from Northern states to send many ships loaded with such coins to the South, where they had much greater purchasing power. Probably the most famous numismatic treasure from a shipwreck of a U.S. vessel is that of the SS Republic, which left New York in October 1865 (a half year after the end of Civil War) headed to New Orleans, with a precious cargo that was intended to help finance postwar reconstruction efforts. However, the ship sank off the coast of Georgia during a huge hurricane. Its cargo included what was believed to be $400,000 of 19th-century gold and silver coins, including thousands of gold Double Eagles and Half Eagles and Seated Liberty silver half dollars. Those coins, which were found 1700 feet deep in the Atlantic Ocean, were found in remarkably high condition and include some of the finest Civil War coins ever seen. Another of the best-known shipwrecks was that of the SS Central America, which left San Francisco in September 1857 with two tons of gold and other coins and sank off the coast of the Carolinas. The financial loss from the sinking of the ship’s treasure was so extensive that it played a factor in the Panic of 1957, an economic depression that had global effects. This ship’s treasure included numerous U.S. and foreign gold coins and territorial gold pieces, including many U.S. Double Eagles and other gold coins from 1823 to 1857. 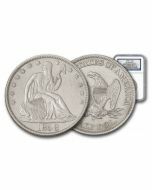 The leading company that authenticates, grades and conserves shipwreck coins is Numismatic Guarantee Corporation (NGC). In fact, NGC is the only independent third-party company that provides these services for such coins. 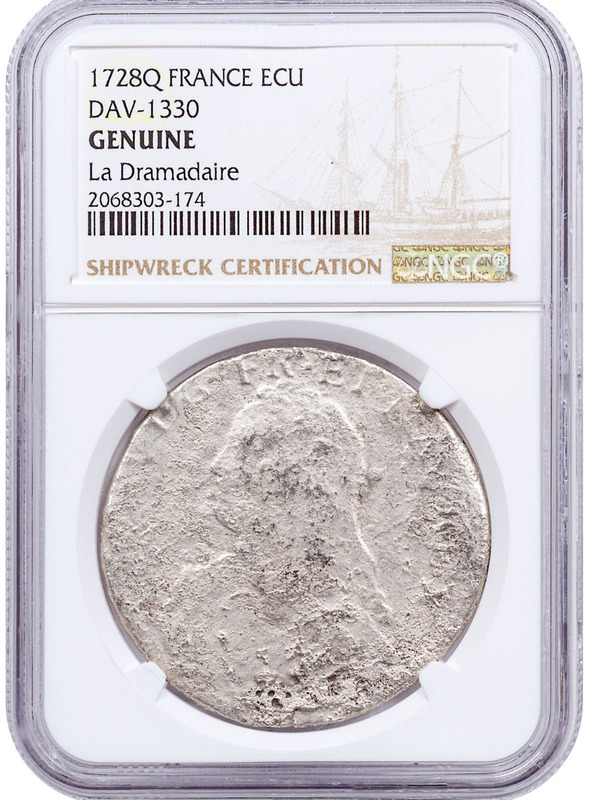 For NGC, the designation “Shipwreck Effect” refers to the signs on coins, usually silver ones, that indicate they were exposed to saltwater. 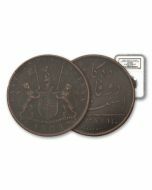 Those coins which show such effects are categorized with one of four designations. The lowest level is “Shipwreck Effect,” which are coins that have signs of “heavy to severe disturbance from saltwater exposure, with metal loss affecting the design.” The other three are “Shipwreck Effects A, B, C,” which correspond to coins that show either minimal, light, or moderate disturbance from the effects of saltwater immersion. In addition, those shipwreck coins that have been authenticated and whose origins have been confirmed, also receive a details grade if they have received “Shipwreck Designation C” or better, and this wear grade scale is one familiar to collectors (uncirculated, almost uncirculated, extremely fine, very fine, fine, very good and good). With plenty of treasure ships yet to be discovered and ongoing advances in the technologies used to find these ships, shipwreck coins will continue to be an exciting area of numismatics going forward.